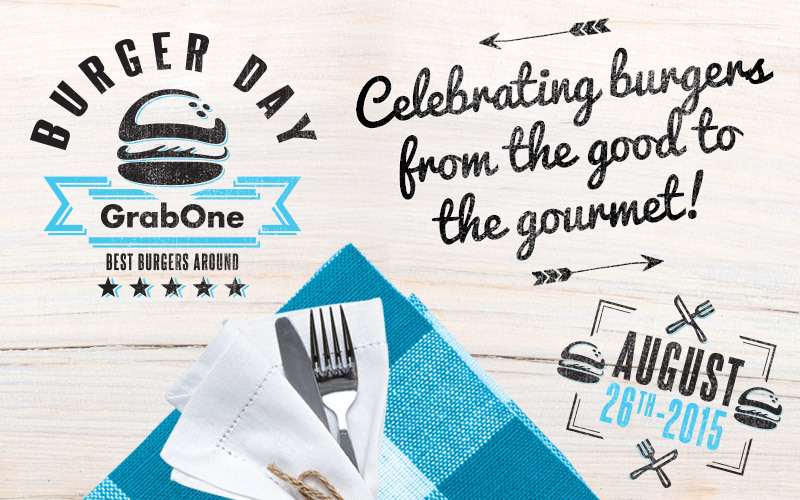 August 26th is GrabOne’s first ever Burger Day and today we’re celebrating the burger in all its glory! From the just plain good to the seriously gourmet. We’ve had some of the best chefs and culinary minds cooking up original recipes to create some unique umami experiences for you to buy from today. Nomad in Point Chev is offering a luxurious twist on the burger with a Canadian rock lobster burger deal for two people. The lobster is chargrilled and served on a steamed bun with an Italian five cheese and brandy mornay sauce and finely sliced shallots, served with curly fries. You also get a 750ml bottle of Estrella Damm Inedit. Get yours here. TriBeCa are also bringing the high-end offerings with a unique two-course dining experience for two. The amuse-bouche is a mini brioche burger with beef tartare and an egg yolk purée which will ignite the palate. The main course will delight it further. Featuring slow-cooked belly and pulled shoulder of pork , black garlic aioli, Asian slaw, pickled daikon, cucumber, shallot, celery and wasabi mayonnaise – all on a black sourdough bun. This one is more than a bit special. Wagyu lovers are catered for at Everybody’s, with a carefully crafted, expertly assembled, dry aged Wagyu burger that looks simply divine. Including a glass of wine or beer and all for only $14, this one stands out for both exceptional quality and value. Check it out. The Smokey East Burger from Celsius Gastrobar looks like an absolute beast of a burger: prime steer patty topped with gently melted smoked cheddar cheese, bacon and caramelised onions, smothered with smoky barbeque sauce – all on a soft brioche bun. In the capital D4 Restaurant & Bar are offering beef brisket, slow braised in red wine and aromatics, shredded and bound with reduced cooking liquor. A remoulade of shaved beetroot, capers, tarragon, minced shallot, orange zest and mayonnaise. 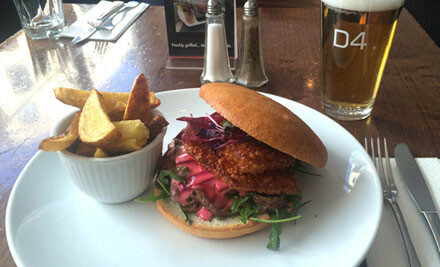 Crispy fried layered with the beef and remoulade inside a focaccia bun with baby roquette leaves. It’s served with chips and an organic lager. Sounds great! Grab it here. Arthur’s on Cuba is serving up one of the highlights of last year’s Wellington on a Plate with the Famous Juicy Lucy Gourmet Beef Burger. Served with salad, chips and a drink all for only $19 it’s a real good deal. We are super stoked to have Burgers & Beers is back on site with an offer for two burgers starting at just $13.50. This place is so good and their deals are so popular, so make sure you grab it while you can! At the more exotic end of the burger spectrum Dragon Den Social Lounge have created something special, especially for Burger Day. Designed by Reon Hobson, Chef de Cuisine at Pescatore, The George Hotel, The ReOrieNtal Burger is an incredible fusion of prime beef, XO sauce, Chinese pickle, miso mayonnaise & tatsoi. We have great offers on incredible burgers throughout the country – 60 in total – so make sure you grab them while you can check out what’s cooking where you are and take a bite out of Burger Day!